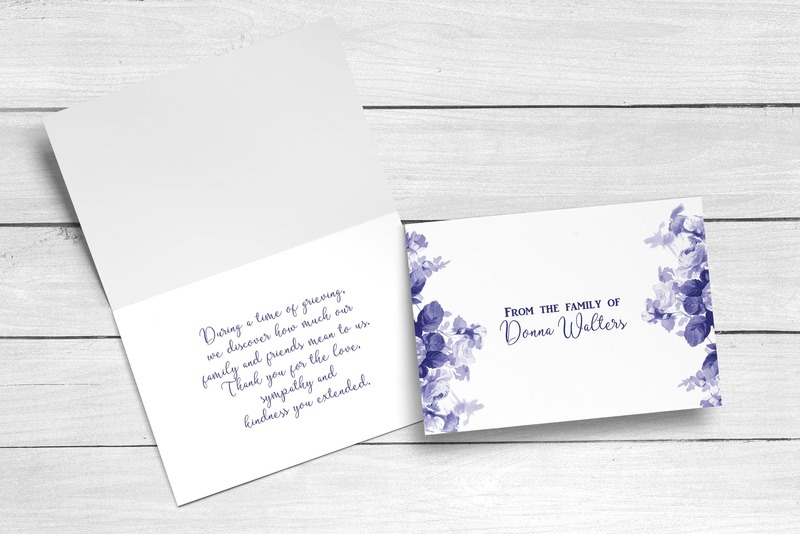 We hope that our customer service and our beautiful sympathy acknowledgement cards will help make what we realized it a very difficult time just a little bit easier. 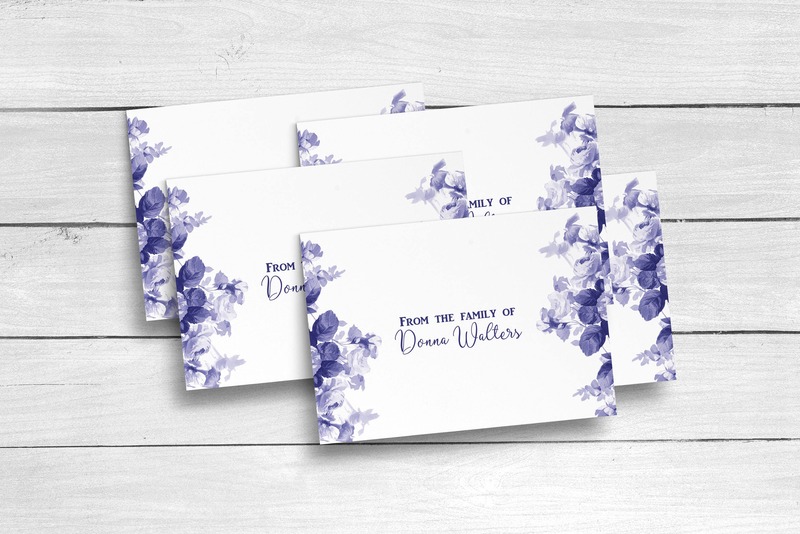 We'd be honored to make you and your family gorgeous, funeral thank you cards. You're welcome to change the wording on this card to your liking at no extra charge. 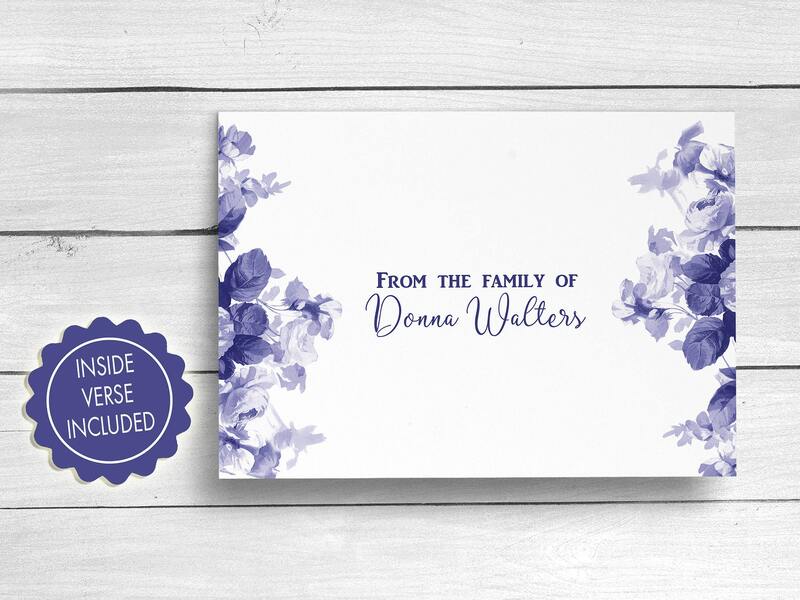 You can add on a gift box and return envelope address printing for a small fee. -The inside verse will read: During a time of grieving, we discover how much our family and friends mean to us. 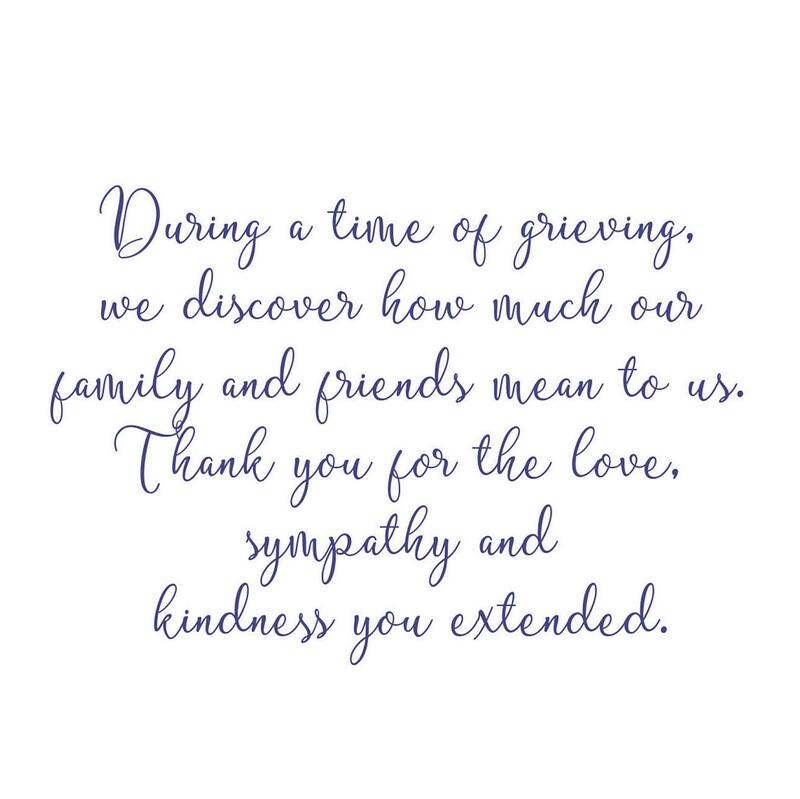 Thank you for the love, sympathy and kindness you extended. -You can choose any verse you would like. 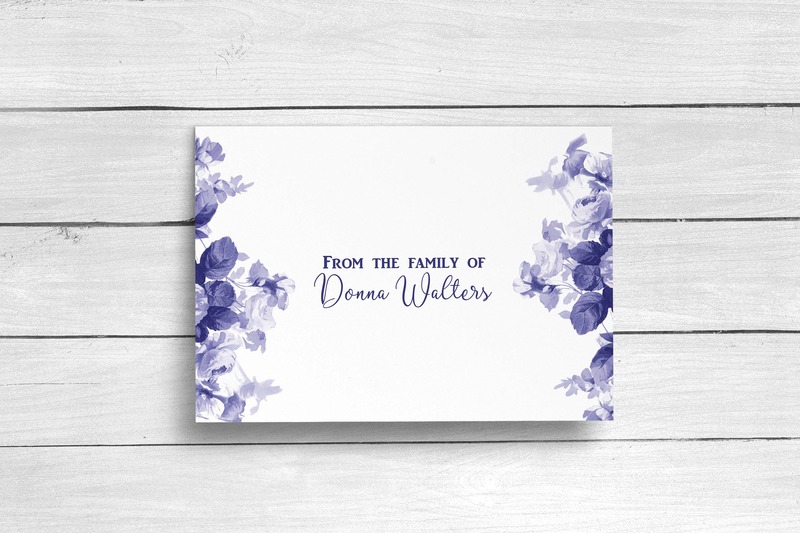 Please tell us in the "Notes to Seller" if you would like to change the wording and indicate how you would like the name to appear. -Please select the amount you'd like in the drop-down menu on the right. They come in sets of 12, 24, 36, 52 and 100. If you need more than 100, please message us for pricing and we can set up a custom listing for you. 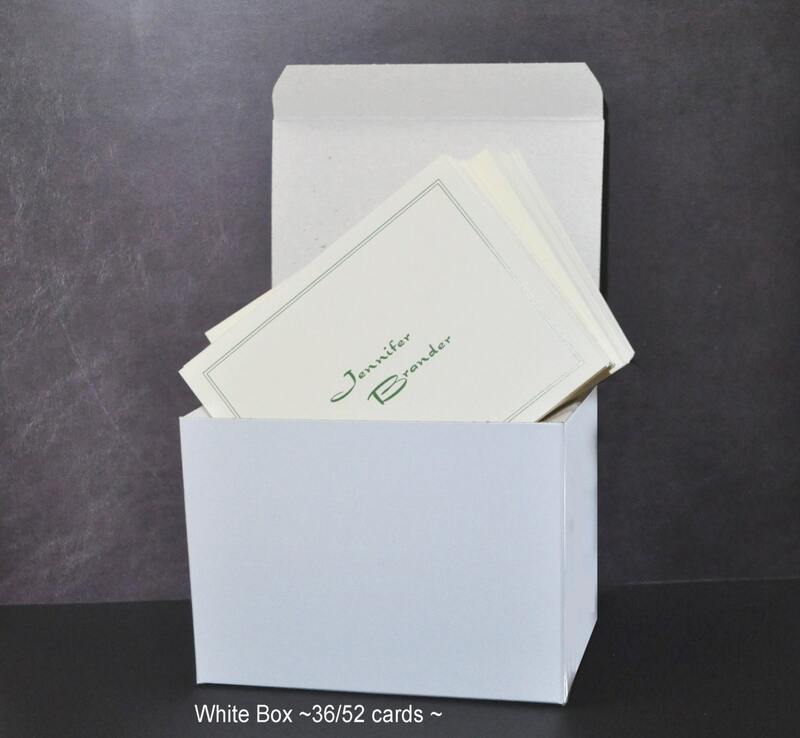 -Please choose, in the drop-down menu, whether you want the white envelopes that are included in the price or if you would like to upgrade to Kraft envelopes. 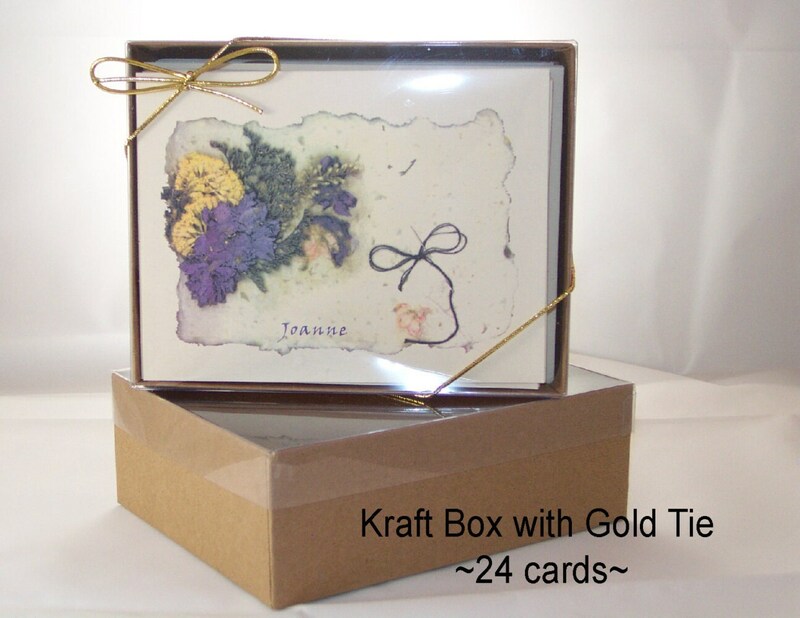 If you'd like to see a photo of our Kraft envelopes, please convo us and we will email you one. 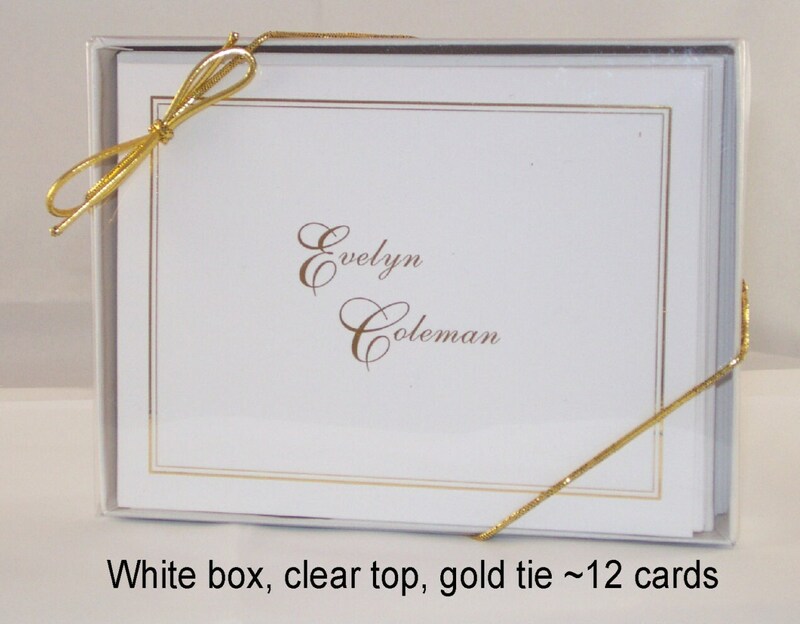 -These note cards measure 5.5" by 4.25" folded and include inside printing. 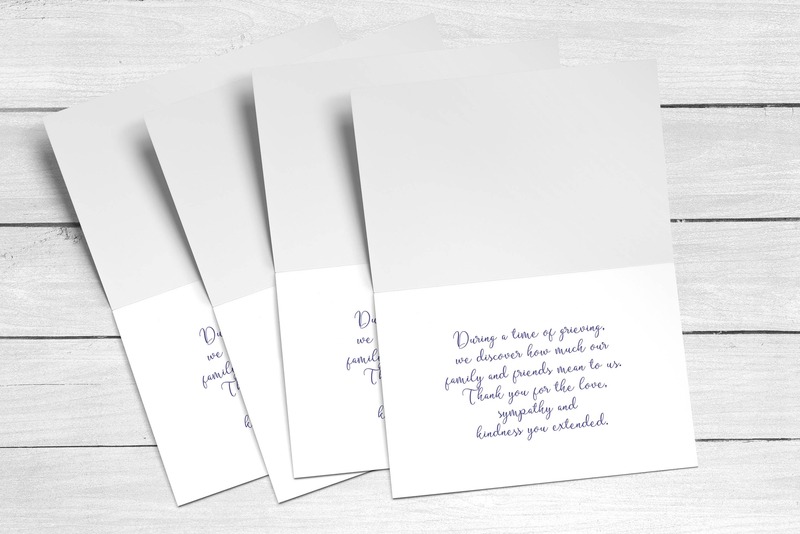 If you’d prefer to eliminate the message on the inside, please tell us that in the “Note to Seller” when you check out. NOTE: Computer monitors vary, so please understand that the colors on your finished product may differ slightly from what you see on your screen.SHIPPING: When choosing "EXPEDITED SHIPPING," please know that that option does NOT bump you to the head of the production line. It means you are choosing a faster method for your shipping time (most like Priority Mail). If you are interested in a "RUSH CHARGE," and being bumped to the front of the production line, please message us about our rush charges and turn-around times. Thank you.